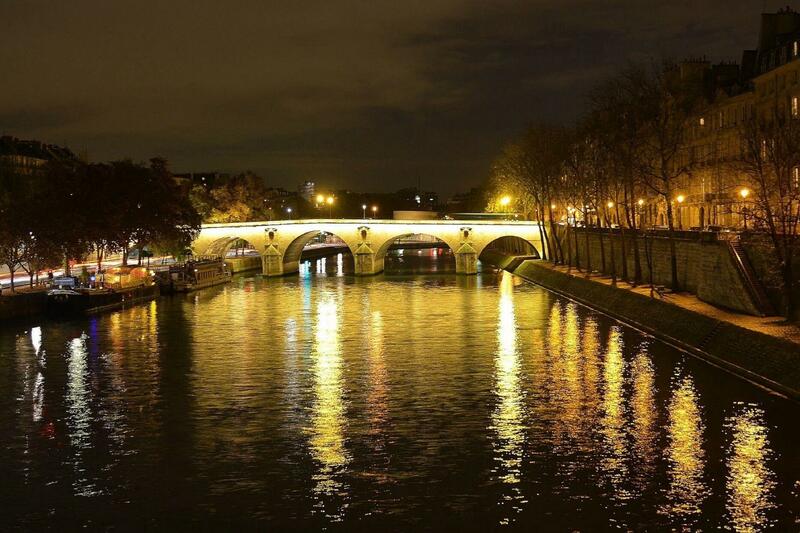 See for yourself why Paris is known as the "City of Lights"
This night tour in Paris combines a panoramic city tour and a lovely river cruise, showing off the "City of Lights" from two different perspectives. Enjoy the views of the city and its monuments, bridges, and fountains as you discover for yourself the beautiful and dramatic facades lit up against the night sky. The bus tour portion offers audio commentary in 11 different languages, allowing you to learn about the history and culture of every monument, bridge, and fountain that you pass by as you explore the entire heart of the city. Drive by the Opera House, Louvre, Place de la Concorde, and along the Champs-Elysees from the comfort of our coach. The Seine River cruise portion of this tour will show you a very different perspective of breathtaking monuments like the Eiffel Tower, lit up bridges and more as you float down the river as far as the Ile de la Cité, the island home to the Notre Dame Cathedral and Conciergerie. From here, you will re-board our Gray Line coach and be dropped off in the Opera area, a beautiful location full of restaurants and bars where you can continue your night on your own. Seine river I would highly recommend.